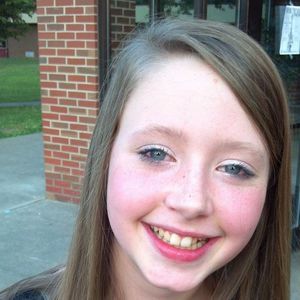 GLASGOW - Kinley Elois Browning, 12, of Glasgow, died Sunday, May 27, 2012 in Russell Springs, KY. Kinley was born September 21, 1999 in Muhlenberg County. She was a student at Barren County Middle School. She was a French Horn player and Color Guard member of Barren County High School Band. She was preceded in death by her grandfather, M.C. Browning; great-grandfather Willie C. Hall; great-grandfather David Wester; and great-grandparents Claude and Ann Grise. Survivors include her mother and step-father, Leslie and Chris Yates of Glasgow; father and step-mother Chuck and Echo Browning of Greenville; brothers Braxton Browning, Ryan Browning, Ethan Birge, Elliott Birge, Jacob Yates, and Ryan Yates; sisters Carlie Browning and Hannah Yates; grandparents Rita Wester of Greenville, Linda Browning of Greenville, Phillip and Dee Grise of Hopkinsville, and David and Linda Yates of Russell Springs; and great-grandparents Lois Wester of Belton and Lucille and Ed Schaffstein of Roseville, Michigan. Funeral services will be Sunday, June 3, 2012 at 11:00AM at Tucker Funeral Home in Central City, with Rev. Chris Dennis officiating, assisted by Gary Steele. Burial in Union Ridge Cemetery. Visitation will be Saturday from 4-9PM and Sunday from 9-11AM at the funeral home. Online condolences may be made at www.tuckerfunerahomes.com. The beautiful and interactive Eternal Tribute tells Kinley's life story the way it deserves to be told in words, pictures and video. My heart breaks for you all. I'm so sorry for your loss. I pray the Lord wraps His loving arms around you and gives you peace and comfort you need during this very difficult time. I will continue to lift you up in my prayers in the days to come. Kinley was a beautiful young lady and she will be missed dearly. My thoughts and prayers are with each of you during this difficult time. Kinley was such a wonderful young lady. She will never be forgotten in the hearts of everyone that had the pleasure of knowing her. Kinley, you were a very pretty & sweet girl. I'm still wearing the bracelet that you gave me a while back and I'm not plannning on taking it off either. You definatly will not be forgotten. I remember in Mrs. Hammer's class we took sugar cubes and ate them.. haha. You didn't deserve this. You will always be remebered and loved. I love you. -JonMichaela Cherry. There are no words that will ease the pain in your heart, I know, because I have also lost a child to a car wreck, only time and prayer will heal. You will never forget. Kinley was such a pretty girl and everyone liked her. My granddaughter (Courtney Flickner) knew Kinley and is very saddened by her death. My thoughts are with you each and every day as you go through this tragedy. May God bless each and every one of you. My thoughts and prayers are with your family for comfort and peace until they are with you again. Families are forever. In memory of beautiful Kinley Browning! I know your wings in Heaven are as spectacular as you were here on Earth!